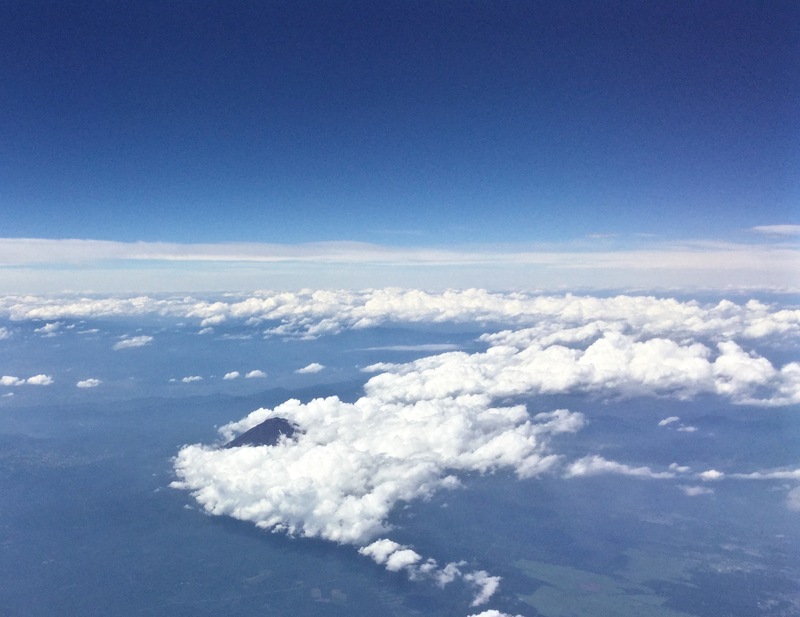 So, I go to Tokyo. I get into Haneda at midnight on Wednesday. I head straight to my beloved First Cabin Hotel. I have written about this place before. I get off the plane. 5 minutes later I am showering in a school like communal bathroom and 10 mins later I am fast asleep in my little cabin – perfect hotel. I rise very early and walk out of my hotel straight to the subway, which is all part of the Haneda complex. 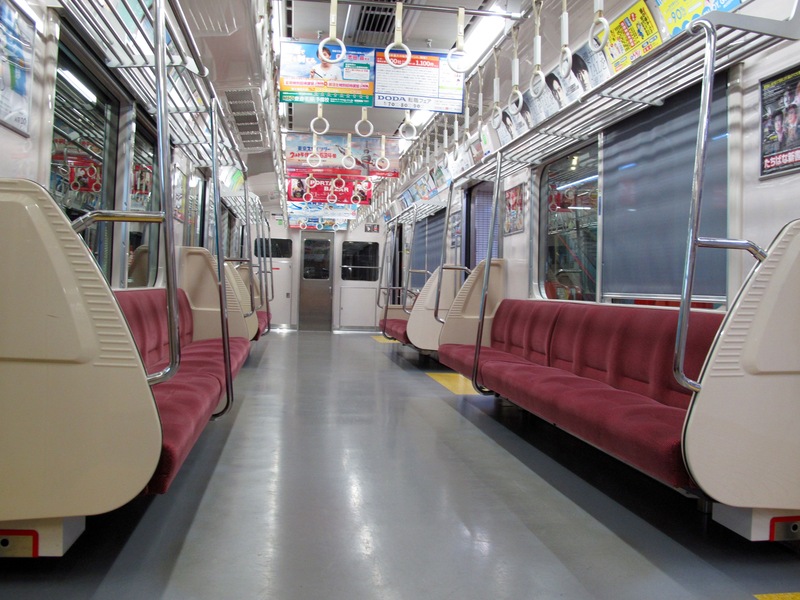 I am slowly getting better in dealing with the Tokyo metro. Not that I have ever had serious upset. It is more that I have less paranoia about getting on the wrong train or worse still, not getting off at the right station. I slam my suica card onto turnstile sensor. It beeps very satisfactorily and let’s me through. I have a rush of accomplishment. The station and the train is gleaming and spotless in the morning sun. I want to lick the floor. My greatest challenge with the metro is remembering the name of the station or stations, as you usually have to change, that I am going to. 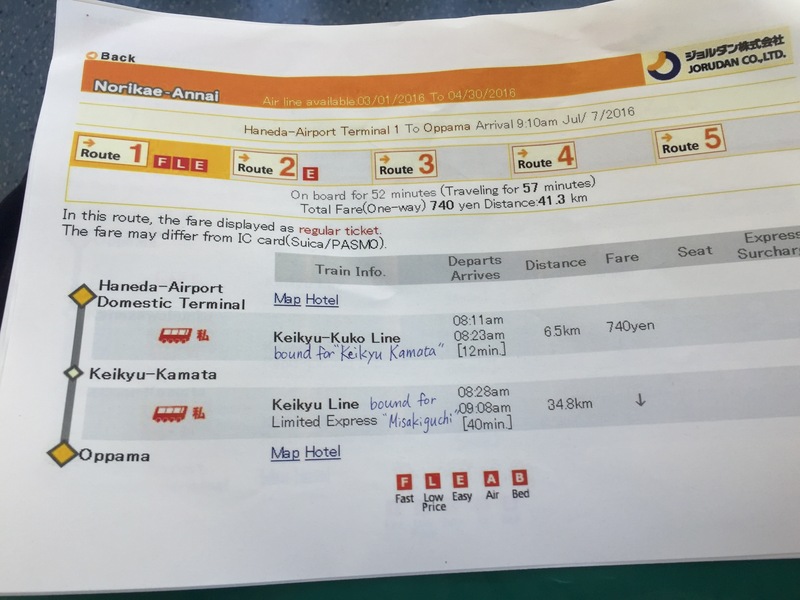 I look at my instruction sheet and my first station is Kamata. 5 minutes later I have forgotten. Was it Karena, Karaja, Karama, Keraba? I have to drag out my instructions again. I go through this process every 10 minutes or so. 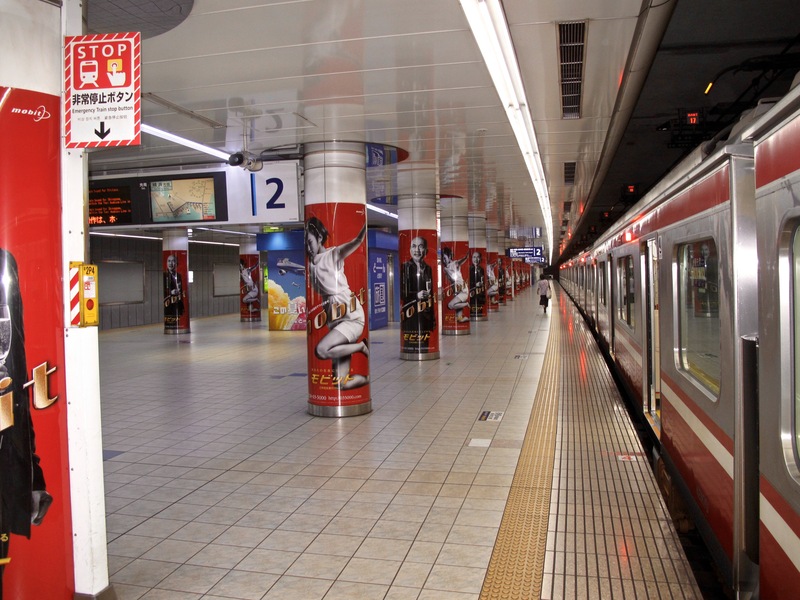 Part of the atrophy of age is the inability to retain the names of Tokyo subway stations for more than 5 minutes. Anyway I whizz across Tokyo and get to where I am going. I am meeting a colleague at the station but I am some 40 mins early. I gambol into the sunny streets looking for mischief and breakfast. 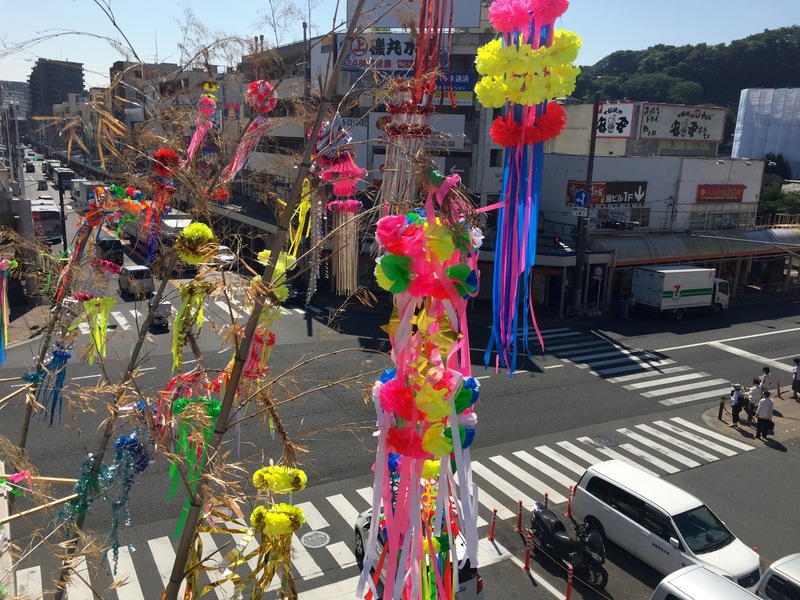 Tanabata, takes place on the 7th day of the 7th month of the year, when, according to a Chinese legend, the two stars Altair and Vega, which are usually separated from each other by the milky way, are able to meet. Get it? You write your wishes on a piece of paper, and hang that piece of paper on a special bamboo tree, it then comes true. My wish is to find somewhere to have breakfast. It comes true! 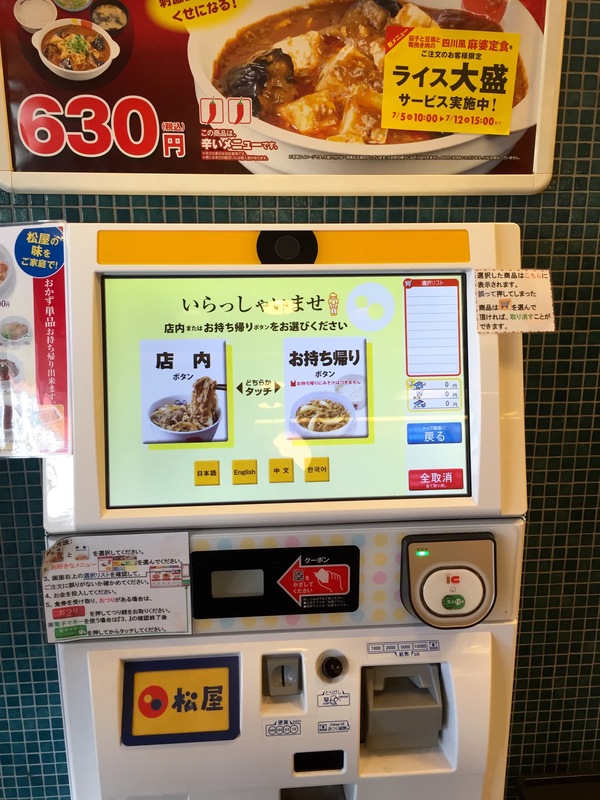 A lot of Japanese restaurants have machines where you choose your food and pay. The machine spews out a ticket that you present to the staff. They then bring the food and typically you eat it. 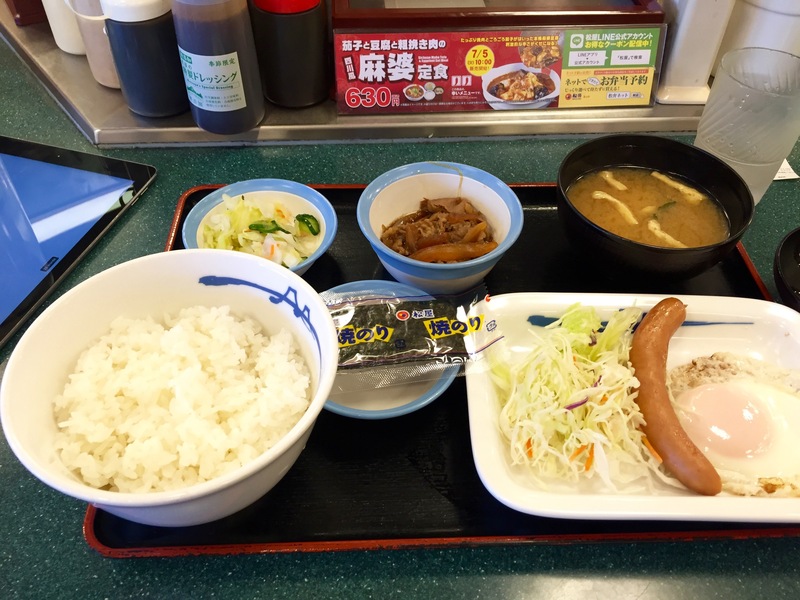 You can pay for your meal with your Suica card. This is your travel card, check out button middle right. I do so and feel very sophisticated. I mean who cares about choosing the right wine in fancy French restaurant a la James Bond. True sophistication comes from paying for your breakfast with your travel card in an obscure part of South Tokyo. James Bond would have asked for help. Bleakfast! 400 yen, which is 28 post Brexit pounds. 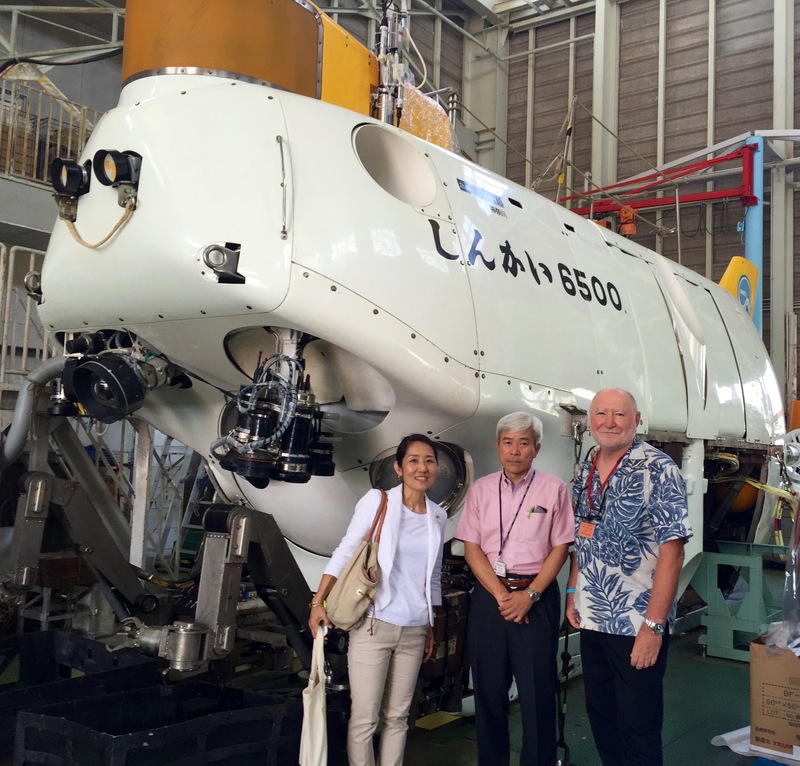 I meet Natori san and do work stuff involving marine exploration ships and deep sea submarines. 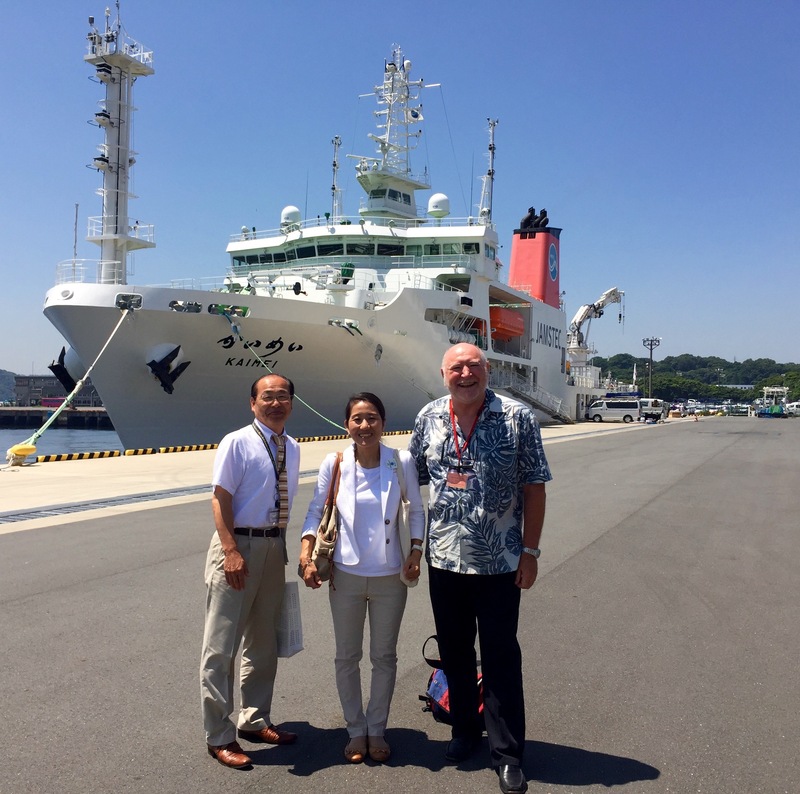 Japan’s new deep water research vessel. The guy in the middle is a total hero. He has made 200 deep sea dives in this manned sub. Deep sea like 6000 metres. He is now unable to smile. We then train it back to Haneda, fly to Okinawa, drive back to the university and I chair a committee thing at 5:30.